Can you please advise if being found guilty of cruelty to a puppy and causing it's death would constitute violation of this item? If so, please be advised that Jack Sterling of House of Sakorn & a current advertiser with you, paid 1,000 Baht ( Thats about 30US$ but the maximum Thai law dictates for the offense ) on the 16 January 2008. Should you need evidence of this, please read the blog. Should you wish to discuss this further, please do not hesitate to contact us. If we do not hear from you within a reasonable period we will have no choice but to emphasize this point on the blog without your input. Please provide the evidence in question so I can research it. Please read the blog as requested in the previous email, http://www.trdtruth.blogspot.com where you will read the evidence you require. Attached is the original scanned police report. Please act upon this with haste. Unfortunately, that attachment does not help me. First, according to your blog, you typed that up. Secondly, I have no way of knowing what that says. Unfortunately, there is not anything I am able to do at this time. and ask him about the report, he has a copy of the same paper which came from the police and he actually signed for his copy. Our copy was likewise signed for. I take offense at the accusation that we "typed that up". If folks do not read and write English, do I assume you immediately fail to trust them? Jack Sterling lives in Thailand, as we do. Thai Police do not write ( or speak ) English in this region. So now you leave me no alternative but to publish your reluctance to take this matter seriously. Jessica, say goodbye to some customers, we gave you plenty of chances to react positively about this. Please ensure you read the blog tomorrow. I am sorry that you took offense at my email as it was not my intention to offend you. However, you stated on your blog that you have a "typed up report" from the original hand written report that you allude is not very legible by stating that your copy of the original makes "terrible reading". I have sent an email to Mr. Sterling. At this point, you do not dictate the official report but give your synopsis of it. I am not able to read Thai and am not able to confirm what is written. There was no official document. If Mr. Sterling claims it says something different than what you claim, we are in a position of not knowing which is true. The document that you provided, does not appear to be an official document, however, I do not know how the authorities handle documentation in Thai. If you wish to post that we are unable to confirm the validity of the claim against Mr. Sterling, you do have that right. As an animal law enforcement officer (nationally certified animal cruelty investigator) and an animal advocate for over twenty years, I find it disturbing that you and PuppyFind as a whole, being that you are its representative, show such a nonchalant attitude about a convicted animal abuser and continue to allow him to advertise on your site. Considering the evidence you have been provided with, you have more than enough probable cause to pull Mr. Sterling's ads while you further investigate. It seems the problem is that you choose to not investigate at all, rather wait for somebody to personally deliver to you the original citation issued to Mr. Sterling along with a translator and law book that spells out what exactly cruelty is. 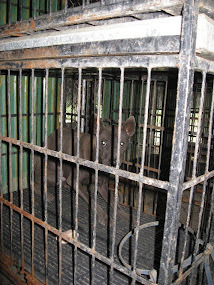 By continuing to support Mr. Sterling by running his ads, you have demonstrated that you also support the beating and torture of dogs for profit. It is obvious that PuppyFind is no different than Mr. Sterling himself in that you are only concerned with the almighty dollar, regardless of what inhumanities take place behind closed doors to make it. Shame on you and the organization that you represent. By your actions, you will lose more customers and, more importantly, any credibility that PuppyFind may have once had. original was hand written and didn't make for "good reading". the seller in question about the synopsis given of the report on the blog. blog as proof. It is unfortunate but others have abused this process. did state, however, that our policy on reviews is to ask for proof of purchase. No one has left a negative review for the seller. 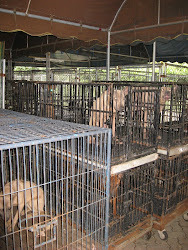 minor issues, and we have found and banned many puppymills through this process. However, the account under Jack Sterling has not received a negative review. sorry that you see it differently. It seems obvious to me that your reply is nothing more than a laundry list of excuses for continuing to help a convicted animal abuser sell puppies. You say that people are able to and should have left a review on your web site. Would you handle things differently if the accusations being made were done so on your web site review instead of the blog? Is that the "proof" you are looking for or would you also tell those people that you do not have enough evidence to pull his advertising? Did you bother to look at the pictures of Mr. Sterling's facility? 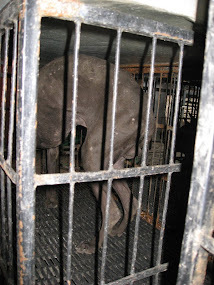 Did you not see the dogs stacked in wire cages, emaciated dogs with their bones showing through their skin, and dogs with cuts and sores on them? Is that "not enough evidence" to stop running an advertisement until further investigation has been done and more "evidence" has been collected? Since I doubt you have a legal dictionary handy, Webster's dictionary defines probably cause as "reasonable grounds for presuming guilt in someone charged with a crime." As an animal law enforcement officer, I can assure you that the evidence that has been submitted to you is sufficient probable cause to take action. If he were in the United States of America it would be enough probable cause to obtain a search warrant. I did not ask you to "ban" Mr. Sterling. I asked that you temporarily remove his advertisements from your web site until you have appropriately looked into the complaints made, whether on a blog or your own web site makes no difference. Additionally, if the statements being made about Mr. Sterling being convicted of animal abuse were not factual, he would have a case of slander against the person(s) responsible for the blog. He is aware of what is being said and he refuses to respond to anyone, including you, about the allegations. Why is that? Do innocent, upstanding, reputable people just sit back and allow such horrible things to be said about them without a single word to defend themselves? This is not one disgruntled person trying to get back at somebody. There is a large group of people who are concerned about these dogs and the fact that Mr. Sterling was convicted of abusing a dog, yet you stand behind your excuse of "not enough evidence." Well I stand behind my original statement that PuppyFind is no different than Mr. Sterling himself in that your first priority is money, regardless of what inhumanities take place behind closed doors to make it. You are allowing, actually helping this man to make profit off of the abuse of animals while you wait for more evidence. You absolutely have the legal right to pull his ads until further investigation has been completed but instead you have taken the easy route by sticking your head in the sand and hoping it will just go away. You may be a "small company" but I would hope you have some kind of connection to a lawyer. Maybe you should have him/her review the complaints and then explain to you that you can and should discontinue your service to Jack Sterling.